Halloween 2017 is all about Kim Kardashian (we’re not surprised)! 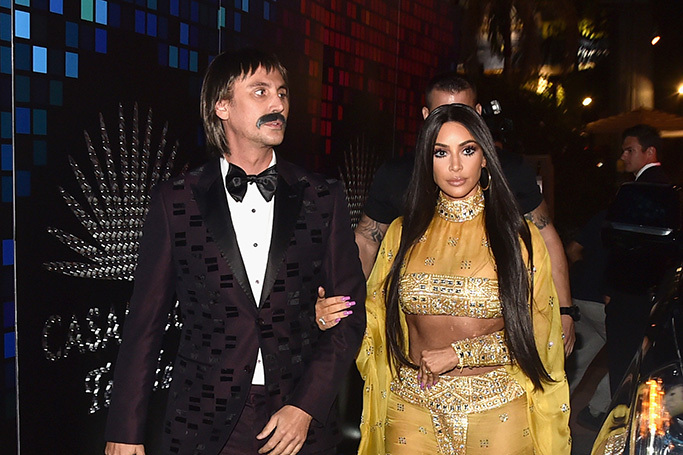 Kim Kardashian and best friend Jonathan Cheban were inspired by the iconic singing duo Cher and Sonny Bono’s 1973 Academy Awards outfits, for their celebrity Halloween costumes this year. Attending the Casamigo Annual Halloween Party, Kim K imitated Cher perfectly, in a two-piece jewelled yellow costume created by Brazilian couture designer Alexandrine, which mirrored Cher’s original designed by Bob Mackie. Queen Rania Al Abdullah of Jordan Celebrated her 47th birthday in August, however, her elegance and fashion sense are seemingly timeless, as she continues to stand out as a queen should in the world of fashion and beauty. And whether she’s attending an international or local event, contributing to fund raising galas, or reforming her country’s education system, Her Majesty keeps solidifying her status as a fashion icon.